John Bachmann, THE SEAT OF WAR. BIRD’S EYE VIEW OF Part of MARYLAND, DISTR OF COLUMBIA and Part of VIRGINIA. New York: A. Rumpf, 1861. Two[? ]-stone lithograph with later hand color. Vertical and horizontal folds flattened and reinforced on verso, some repairs and restoration to edge wear. Lined on verso. A scarce, striking and pioneering bird’s-eye view of the theatre of civil war in the Mid-Atlantic States, issued by John Bachmann to capitalize on patriotic enthusiasm prior to First Bull Run. After the capture of Fort Sumter on April 14, 1861, President Lincoln declared the South in a state of insurrection and called for 75,000 volunteers to augment the tiny U.S. Army. Immediately thereafter Virginia, Arkansas, North Carolina and Tennessee responded by joining the seven other states that had already seceded from the Union. For the next three months there was relatively little military action, while forces on both sides mustered and the Union leadership debated strategy for putting down the rebellion. General in Chief Winfield Scott put forward the so-called “Anaconda” plan to strangle the South by gaining control of the Mississippi and blockading southern ports. Others, less patient, sought a quick end of the war by striking at the new Confederate capital at Richmond, Virginia. 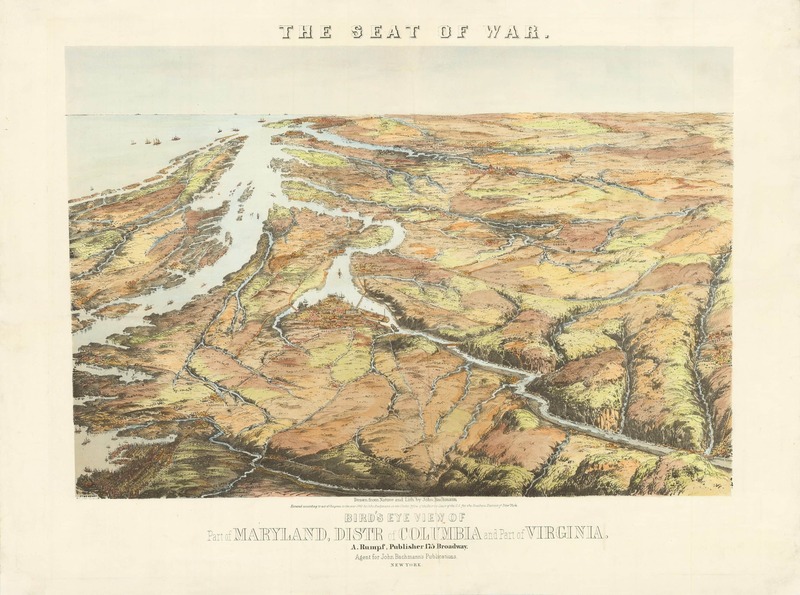 Against this tense backdrop New York artist John Bachmann issued this remarkable panoramic view of eastern Maryland, Virginia and the District of Columbia. For the first time in the United States, it employs the “bird’s-eye view” perspective–more commonly used to depict cities—to depict a “seat of war” extending over thousands of square miles. 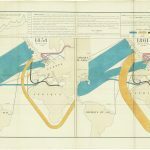 In so doing it rendered its information more accessible to the general public, which may not have been cartographically literate but sought a geographic context with which to follow news of the developing conflict. 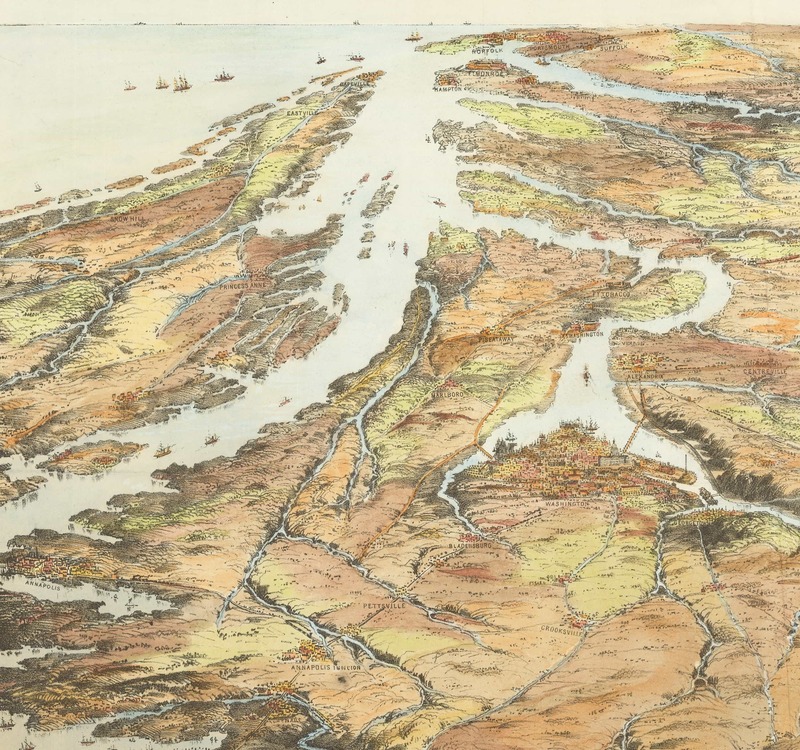 Drawn from an imaginary point far above Maryland, the view depicts much of the Tidewater region, extending from Baltimore in the north as far south as Norfolk and Richmond and west to Harpers Ferry. 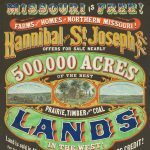 Towns are shown pictorially—with Washington, D.C. most prominent—as well as forts, roads, railroads, topographical features and waterways. Of particular interest are the several vessels at the mouth of the Chesapeake, perhaps suggesting the beginnings of a Union blockade. 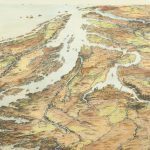 All this is done without any particular attention to the requirements of scale or geographic precision. In particular, the geography is foreshortened along the north-south axis, such that Richmond appears significantly closer to Washington, D.C. than for example Harpers Ferry. Whether Bachmann intended so or not, this must have bolstered the position of Unionist viewers who supported a quick strike at Richmond. The preceding view alluded to by this blurb is almost certainly ours, which thus must have appeared some time between Fort Sumter and late June of 1861. Bachmann soon replaced these views with his spectacular Panorama of the Seat of War series, comprising six views which, if assembled end-to-end they provide a comprehensive view of the coast of the Confederacy from the Chesapeake Bay to Texas. A composite of three of these may be viewed here. In 1860 Bachmann moved to Hoboken and then on to Jersey City. During the war years, in addition to his Seat of War series, he issued a few other views, including Central Park, Hartford, and Washington, D.C. After the Civil War Bachmann continued to produce views of the great metropoli of the East Coast, though somewhat erratically, suggesting that he battled financial and/or physical hardships (a view bolstered by the fact that between 1871 and 1878 he had no fewer than four different addresses in Jersey City.) His final view was an unfinished painted bird’s-eye of Havana, Cuba, done in or around 1894. After his death in 1895 his son John Jr. worked as a printer for more than three decades. OCLC 19744028 and 801494244 (Cincinnati History Library, Harvard, Mass. Historical, Peabody Essex, State Library of Mass. ), as of January 2019. Others are held at the Leventhal Map Center and the Mariner’s Museum. 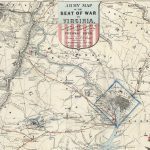 Not in Stephenson, Civil War Maps, #1.7. For biographical information on Bachmann, see John Reps, Views and Viewmakers of Urban America, pp. 160-61 and especially Nat Case, “John Bachmann and the American Bird’s Eye View Print, Imprint, vol. 33 no. 2 (Autumn 2008), pp. 19-33.